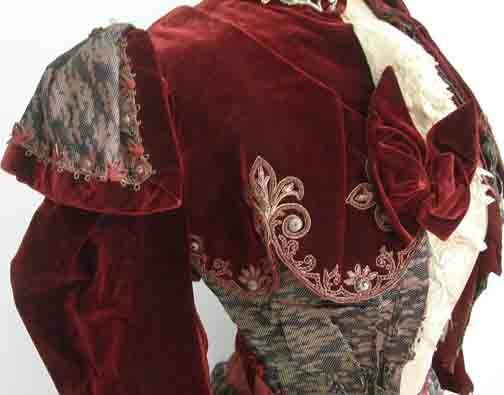 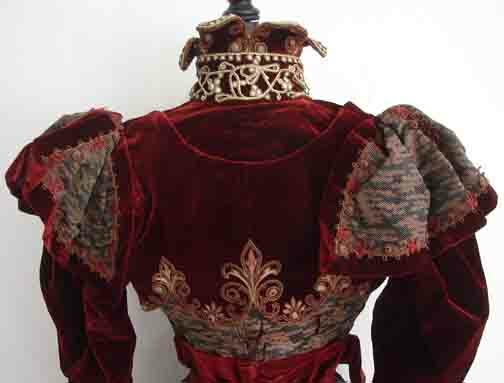 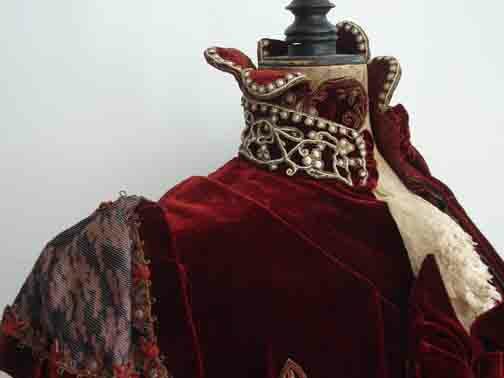 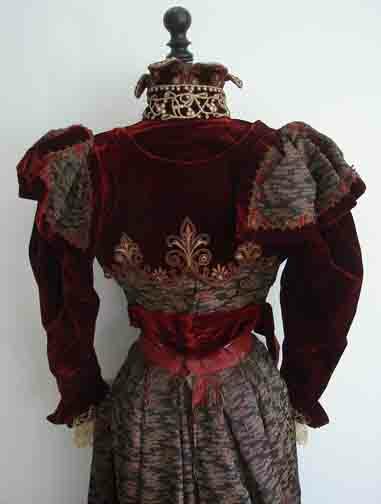 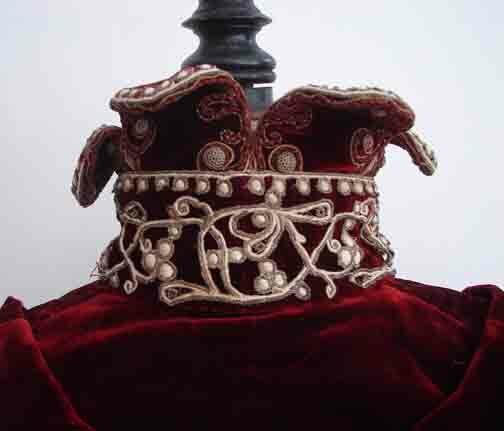 Maria Niforos - Fine Antique Lace, Linens & Textiles : Early Items # EI-4 Ornate French Gown by "Emile Pingat"
Ornate French Gown by "Emile Pingat"
The velvet is in very good condition, and so the majority of the bodice is in good condition. 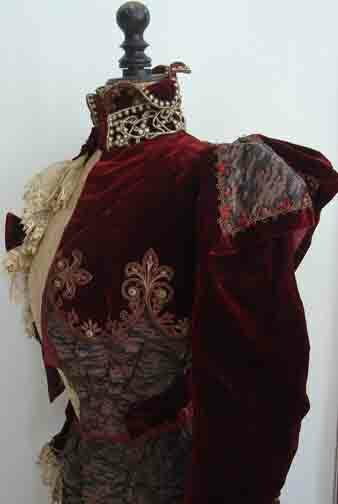 The silk part has damage on it, so this would probably need replacing. 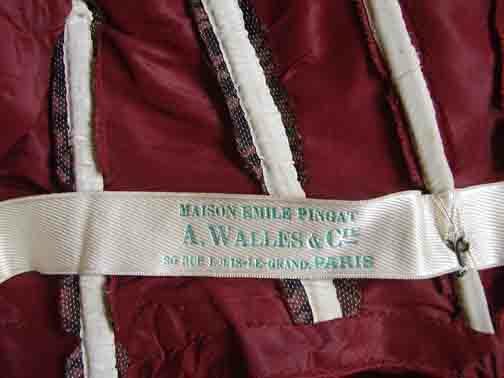 The silk lining is in good condition. 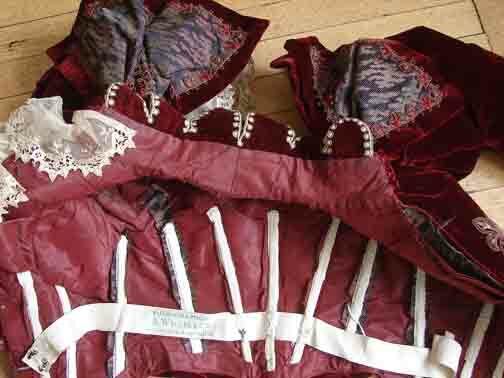 This is a ensemble that is truly worth repair, the structure is good and strong.